You will only get a notification on a Card if you are watching (see below) the Card or are mentioned in the comment text. Mentioning: Type in @ in the comment field and select a person you'd like to mention. 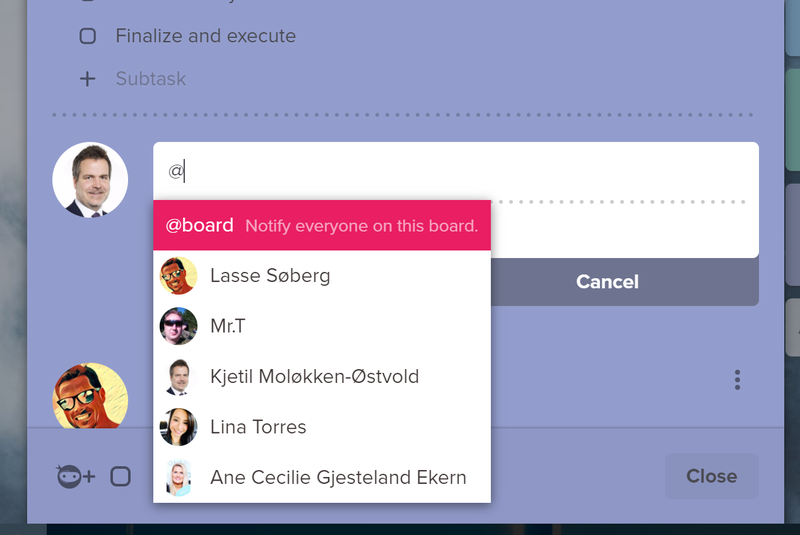 You can also mention everyone on the whole Board by using the @board mentioning tag. Watching: You can Watch/Unwatch Cards form the Cards "More options" menu. You will automatically be set to Watch a card when you are assigned the Card, you are mentioned in a Card comment or you comment on a Card. That way you won't miss out on any important comments.